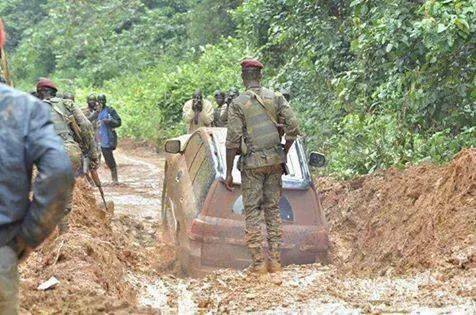 Even presidents get stuck on bad roads when it rains. 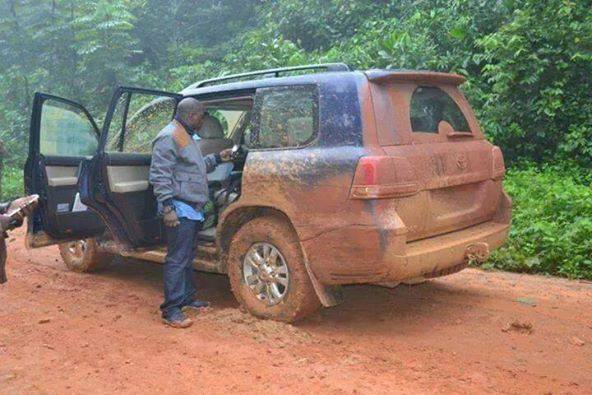 Here is President Joseph Kabila of the Democratic Republic of Congo. 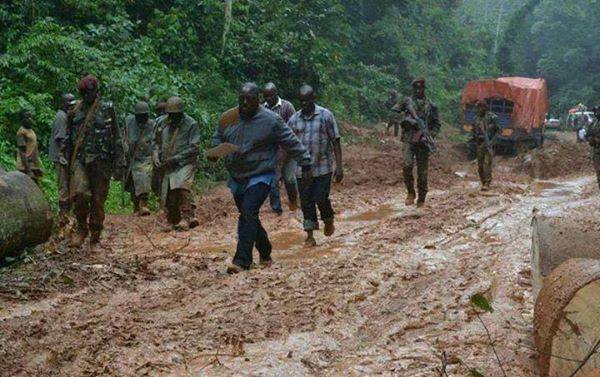 The DRC has a landmass of 2,267,048 sq km, and 2,794 km of paved roads. 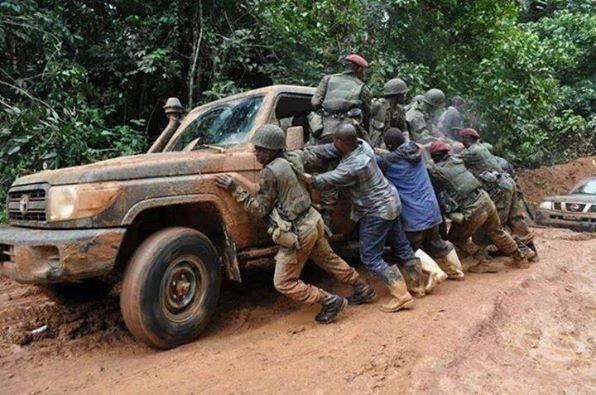 What can be done to increase road access in the DRC? Big projects like this will definitely help. But a big accelerator of the process will probably be urbanization. Kinshasa is the second largest city in Sub-Saharan Africa, after Lagos. Many of you probably have never heard of Mbuji Mayi, a city of about 1.7 million people (Other big cities in the DRC include Lubumbashi, Kisangani, Bukavu, and Kananga, and Tshikapa). The projected rapid urbanization rate in Africa, and much of the developing world, is often depicted as a disaster waiting to happen (largely due to poor infrastructure and lack of jobs). But urbanization can also be seen as an opportunity to take advantage of economies of scale to provide public goods at a lower cost. It might even have a positive impact on agricultural productivity – by creating reliable concentrated markets in urban areas and possibility through greater levels of land consolidation to take advantage of scale. That said, governments will still have to build major highways linking cities, and farms with markets. Do you have any sources about how urbanization could lead to greater productivity in agriculture? That is a really interesting point that I would like to know more about. Thank you. I don’t think there is work on the direct link between urbanization and agric productivity. Work that you are likely to find would be on indirect effects – through land consolidation and creation of large concentrated markets. Is Ethiopia in the midst of a green revolution? Spain's Socialists increased their lead in a poll published on Saturday in newspaper El Pais with 28.8 percent of votes, equivalent to 129 seats in the 350-seat parliament, but far-right newcomer Vox also gained support ahead of a general election on April 28.